All pocket watches need service from time to time, and maintaining it properly is critical for it to function properly. You won't find a better repair facility in the Greater Metropolitan area of Los Angeles with our level of quality, knowledge and professionalism. Our procedure in Antique Pocket Watch Repair (and vintage) is to check your mainspring, hairspring, or balance staff that these parts are functioning properly. Then we completely disassemble the mechanism and diagnose any other problems. Each gear in the mechanism is individually cleaned and oiled using only the highest quality of synthetic lubricants and oils. After this is complete, your Pocket Watch is calibrated and timed with State of the Art timing machines. Every case is completely polished and ultrasonically cleaned to look like the watches Original Factory Specifications. When we are finished, your pocket watch movement will be restored to their original factory condition and be running for many years after. Some of the Antique Pocket Watches (and vintage) we repair and Service are Hamilton, Omega, Waltham, Tissot, Illinois, Elgin, and many more. 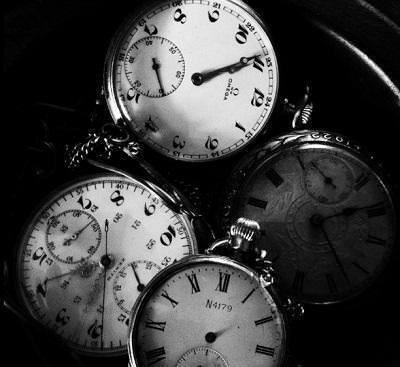 Pocket Watches are historically treasured for their sentimental value. Many of us have often seen our grandfather's Waltham pocket watch laying around or purchased one from our favorite antique store. Regardless of the history, we can service your antique or vintage pocket watch and restore it back to life! Come see us today for a free estimate or feel free to call us.